This past fall at our farm corn maze we gathered the entrance fee and accepted donations from customers to give to the Whitchurch-Stouffville Food Bank. 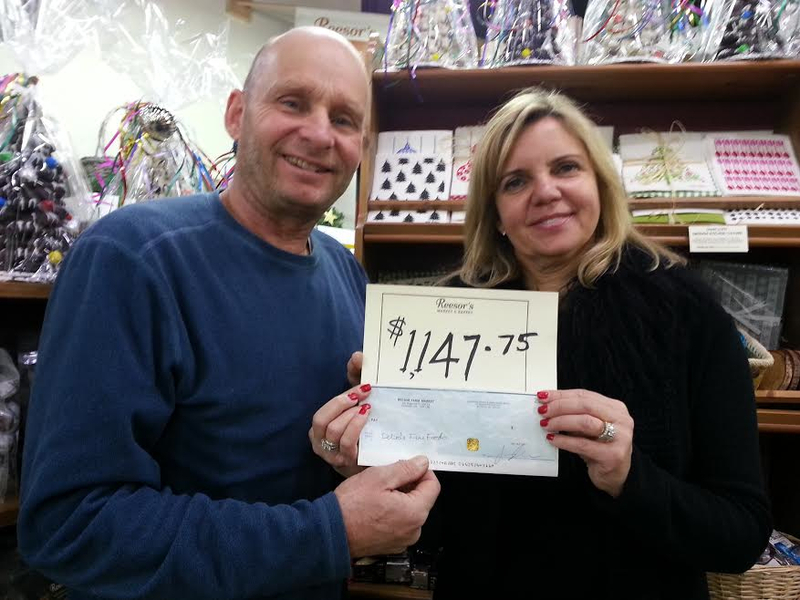 This month I was very happy to present Board member Charlotte Chesham with a cheque for $1147.75 on behalf of our customers at Reesor’s Farm Market. Recently we harvested 8,000 lbs of corn from the maze (grain corn, not sweet corn in case you’re wondering) and we’ll be donating the proceeds from the sale of the corn to the Canadian Foodgrains Bank. CFGB is a great organization that works in the developing world helping people grow more food to better feed their families and providing food in times of crisis for hungry people. 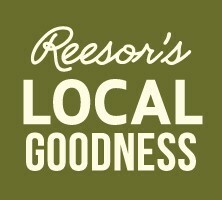 On behalf of my family and all of the staff at Reesor’s, I wish you a very happy Christmas and holiday season and I hope for all good things for you and your family in 2015. One of the pleasures of being a farmer is having the opportunity to be in the outdoors….a lot. Especially this time of year when we are so busy planting and preparing for the season we are outside virtually the whole day. While outside we have an opportunity to observe the wild life right here on the farm. Particularly interesting are all of the species of birds that we see including Cardinals, Blue Jays, Tree Swallows, Baltimore Orioles, Red Tailed Hawks, Turkey Vultures, Starlings, Mallard Ducks, Blue Herons, Gold Finches, Flickers, Mourning Doves, Crows, Canada Geese and more! 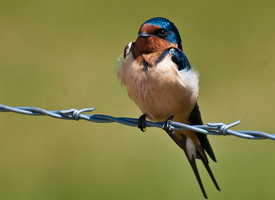 The bird that currently most interests me is the Barn Swallow (like the one in the photo above). Every year around the end of May they arrive on our farm from their wintering ground somewhere in the southern hemisphere. They soon re-occupy their old nests or they build new nests to raise their young. It is common to see them darting about hunting for flying insects. They are amazing flyers and it’s so much fun to watch them. I like to see all of the birds thriving as it gives me the feeling that we are doing a good job of caring for the environment here on the farm. If the birds and other wild animals are thriving on the farm, we must be doing something right. If nothing else, observing them gives me a great deal of pleasure. Happy bird watching to all of you bird watchers out there! Farming season # 29 has begun for me here at 10825 Ninth Line, Markham. Now that the weather has finally warmed up and the fields have dried off we are “on the land”. This week we planted all of our early sweet corn which we expect will be ready around July 21. We also got the fields prepared to plant next year’s strawberries. Speaking of strawberries, this year’s fields are coming along nicely with the earliest variety growing under the floating row cover (a huge reusable piece of perforated plastic to warm the plants and give us berries a week sooner). There are no strawberry flowers yet, but there will be soon and they’ll give us strawberries about June 20. It’s an exciting time of year with lots of work and lots of rewards too. Here is hoping that year 29 is a great one. I hope you have a great season too! 1. A walkabout of the farm to check what has happened around here over the winter such as ice storm damage. 2. Check that the underground drainage system is operating properly. 3. Remove some of the straw from the strawberries. 4. Place the floating row cover on top of the early strawberries to warm the soil to allow it to be ready earlier. 5. Clean up our outdoor workshop and get it ready for our busy season. 6. Do maintenance and repairs on all of the tractors and farm equipment. 7. Make sure that all of our farm supplies are on hand and ready to go as soon as the weather cooperates. 8. Finalize our planting plans depending on the weather and the various field conditions. 9. Get started on any building and major improvement planning and construction. 10. And of course last but not least, begin planting! We hope to plant sweet corn this month to be ready in mid-July. Wow! So, ready, set, go…..here we grow!